With the Note7 crisis ending yesterday by Samsung pulling the product from retail shelves, other innovative devices are still in the works to excite the Android community. There have been some whispers and rumors that a foldable Samsung smartphone could finally debut at next year's Mobile World Congress event in February 2016. Of course I wouldn't hold my breath because Samsung has been talking about this kind of device for years and has yet to deliver anything beyond prototypes designed to look good at trade shows and little else. Yet it must be said that design and utility patents continue to poor into the U.S. Patent Office with regularity regarding this next generation of foldable devices and so there's still hope that Samsung is on to something here and will one day soon introduce a true first-to-market product. The top design patents granted to Samsung this week covers a very bold hybrid foldable tablet device that could a large tablet, a mini mobile desktop and a notebook, depending on how the user so chooses to use the device. Secondly, Samsung has invented another kind of computer glasses that will act as a display and finally today, Samsung introduces a super-wide Curved gaming display that will extend those already on the market. And that's too bad, because the computer glasses and hybrid foldable tablet limit us to simple visuals and no details that we could sink our teeth into. For now, check out the designs and some fun doing a little day dreaming. On September 28, 2016 Patently Mobile posted a report titled "Samsung wins Design Patent for a Foldable Tablet with Built-In Stand and Keyboard." The design patent granted to Samsung yesterday by the U.S. Patent and Trademark Office appears to be part two where we're able to see the hybrid notebook folded configuration missing in the last patent. Additionally, we're able to see that the keyboard is detachable, allowing the user to use it with the tablet in full size as if it were a mini desktop system with a wider display. 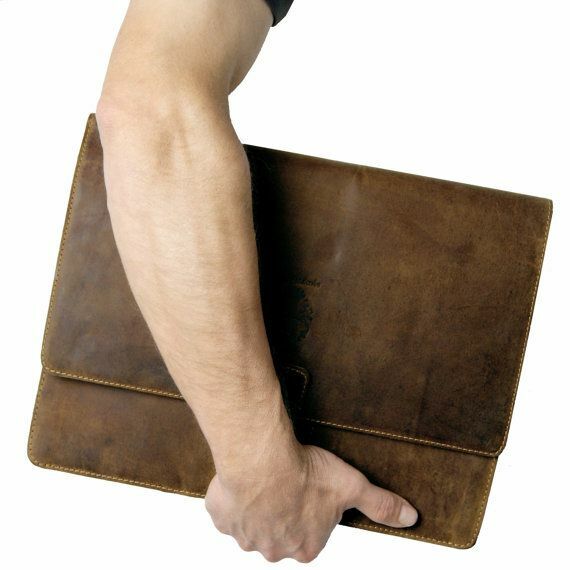 When folded together for carrying the device, it takes on the look of a leather folder.